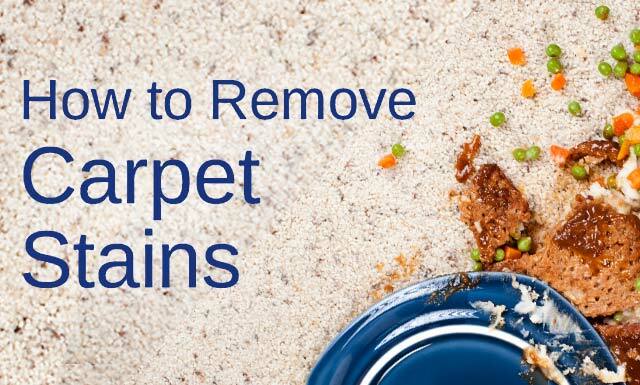 Always refer to packaging for directions and use only on water-washable rugs. MIX Fill to line 1 per 16 ounces of water. 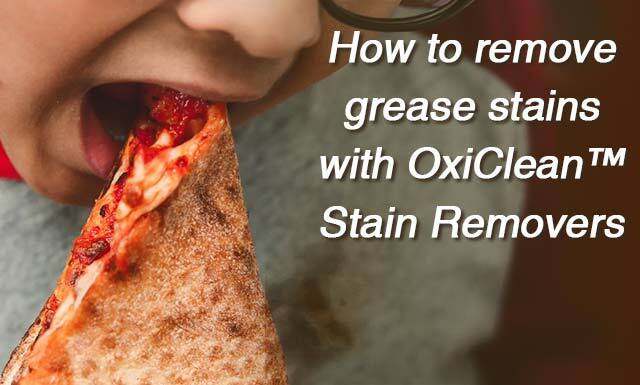 Remove excess stains before treating. APPLY only enough solution to saturate stain. Allow solution to stand 1-5 minutes. Do not allow solution to dry on fabrics. Blot with white towel. 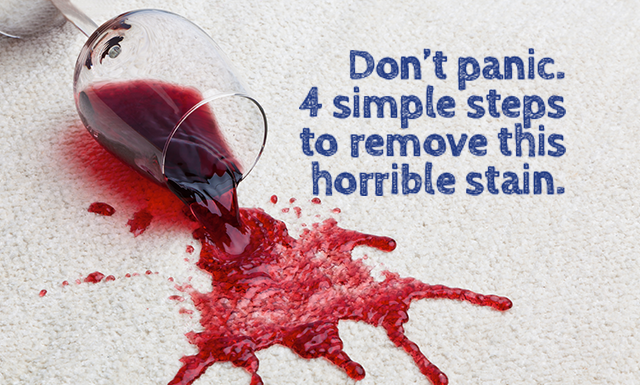 Repeat until stain is not visible. 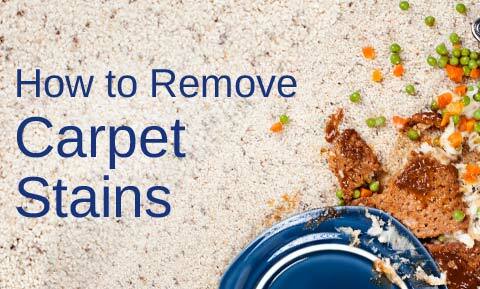 Rinse carpet with clean water and blot until dry. Always refer to packaging for directions and use only on water-washable upholstery. TREAT Do not apply solution directly on stain. 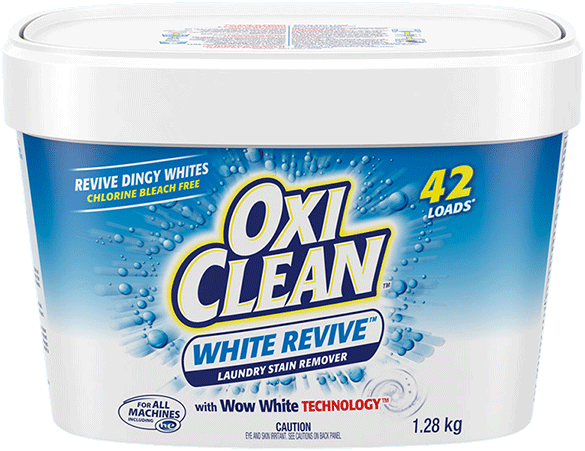 Apply with clean white towel and use towel to blot out stain. 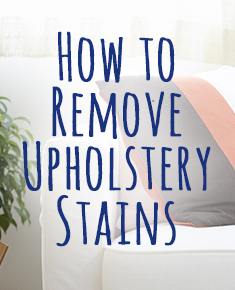 Repeat until stain is not visible. Then, dampen a clean white towel with water and blot area to rinse. Even a touch of makeup can highlight your best features. 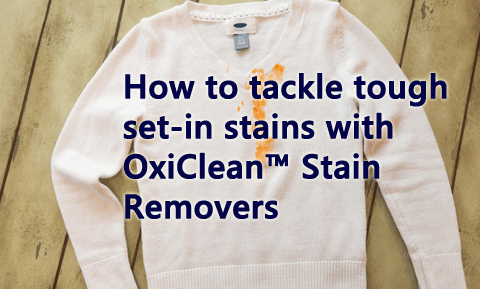 But how to get makeup stains out of clothes? 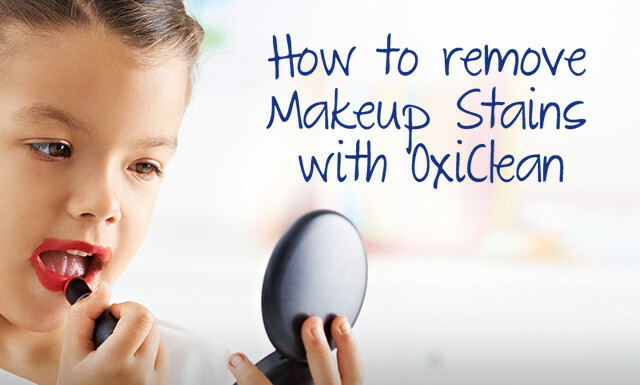 When makeup smears the results aren’t pretty—let chlorine-free OxiClean™ Versatile Stain Remover powder help you clean it up. 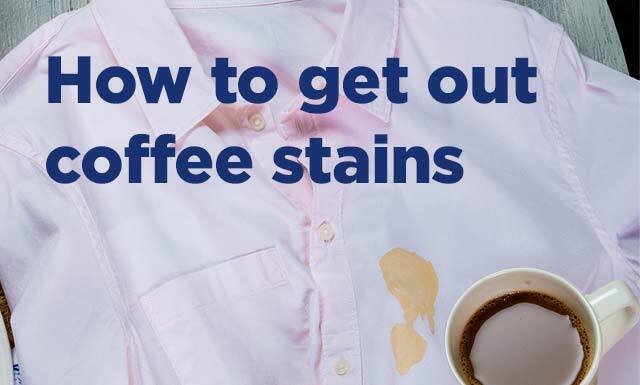 Accidental spills, leaky cups - coffee can cause a mess! 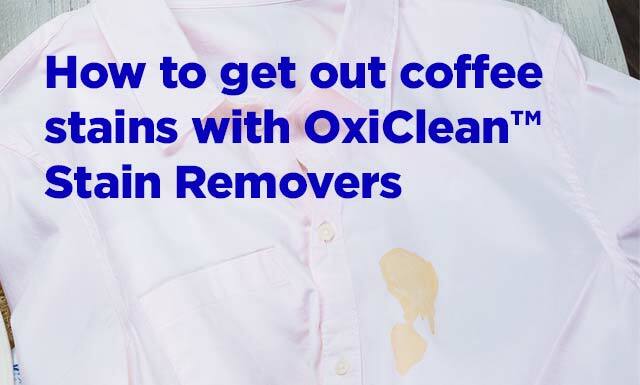 There’s no worse start to the day than a coffee spill on your clothing, but with OxiClean™ MaxForce™ coffee stains don’t have to ruin an outfit forever. 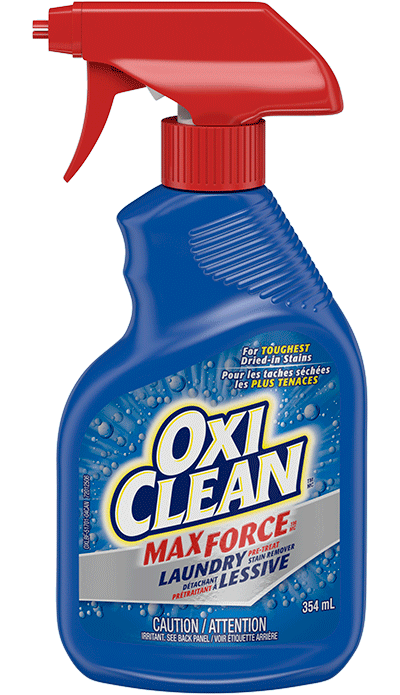 Easily remove the toughest coffee and drink stains with OxiClean™ MaxForce™ Spray! 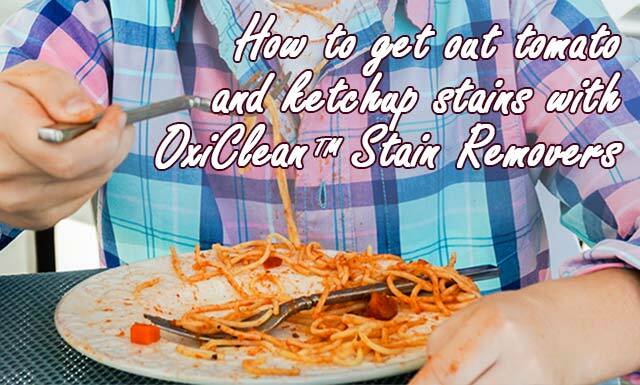 OxiClean™ Versatile Stain Remover can eliminate even the toughest of tomato sauce or ketchup stains, leaving you free to enjoy grandma's delicious dinners without worry. 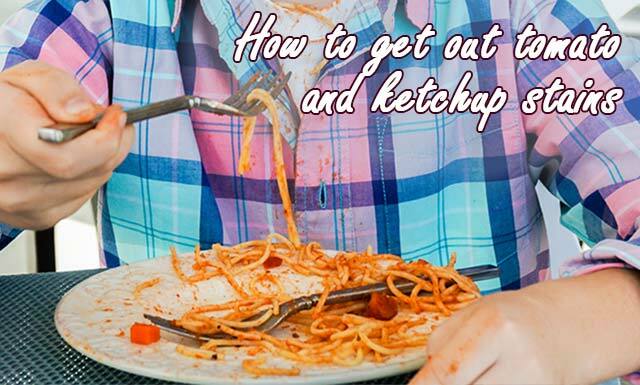 Accidental spills are almost unavoidable when messy food favorites are too delicious to pass up! 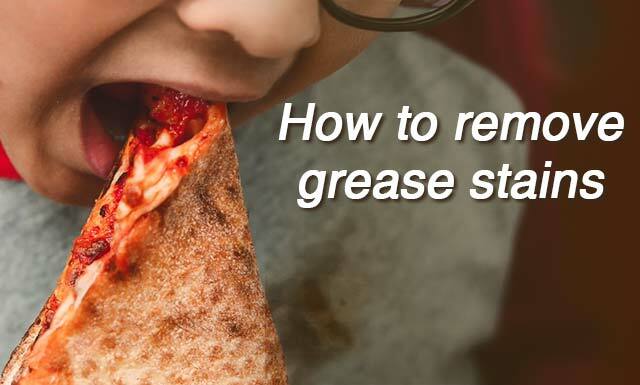 And those grease stains that food leaves behind are some of the toughest to remove. 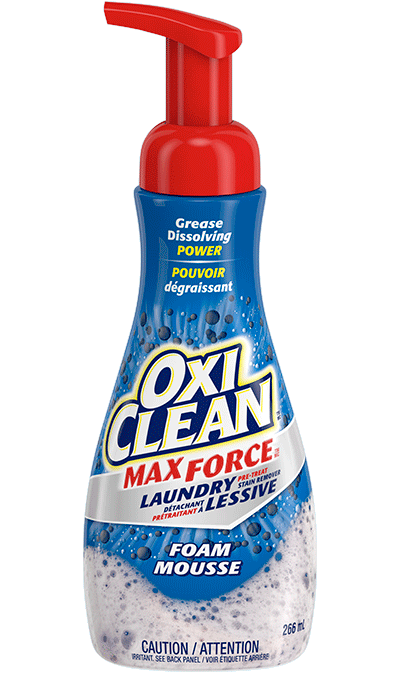 Luckily, with OxiClean™ MaxForce™ you can get out even dried-in grease stains! Scraped knees, nicked chins, cut fingers—you can’t always avoid these minor injuries. 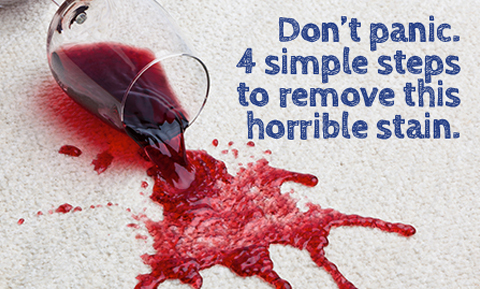 But removing a blood stain from clothing, carpet or upholstery can really give you a headache. 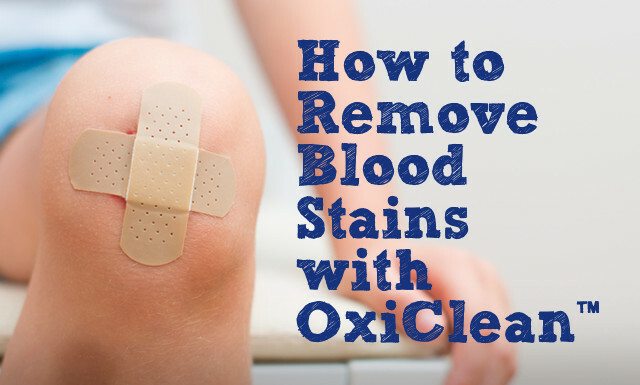 Hemoglobin and iron make blood stains particularly difficult to remove—especially as they dry, oxidize and begin to turn dark. 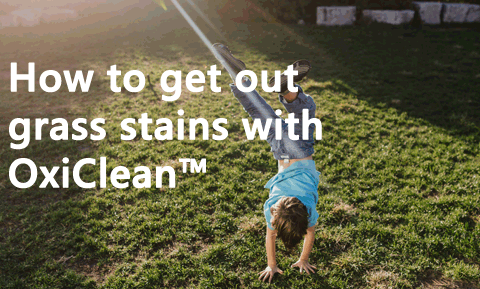 Luckily, the chemistry of OxiClean™ Versatile Stain Remover is up to the challenge. 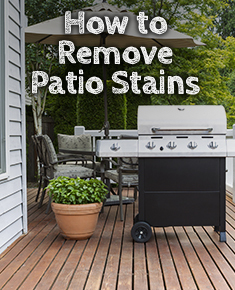 Don’t panic—you can get this stain out! SOAK 1-6 hours. 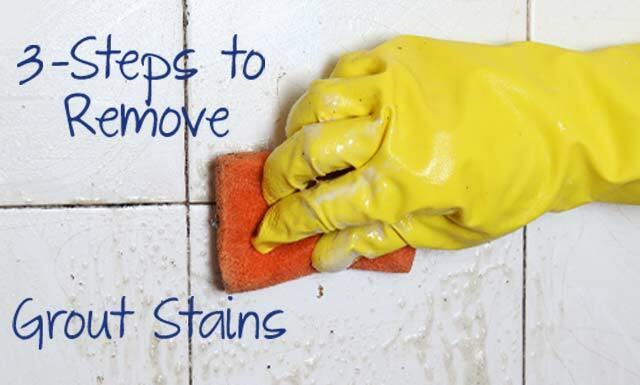 Depending on severity of stain, some stains may require more time to soak. For best results soak for 6 hours. MIX: Fill to line 4 per gallon of water. 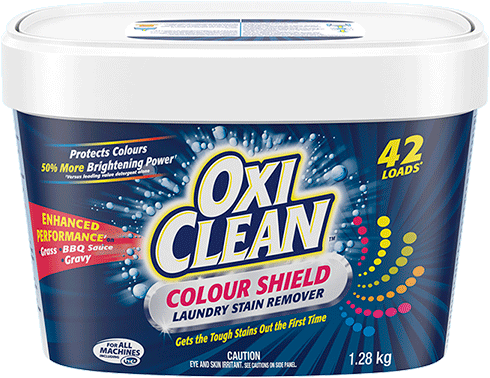 Note: for some surfaces, a more concentrated solution/paste may be used. 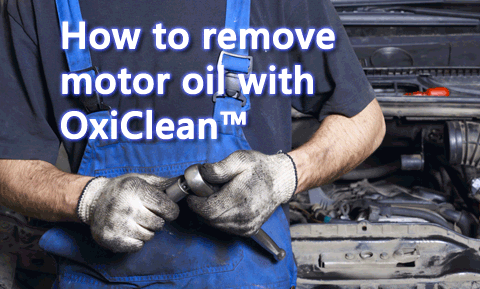 APPLY using a cloth, sponge, brush or by pouring solution directly onto surface. LET STAND: 5-30 min. Scrub as needed. For large surfaces, work with small areas so solution does not dry on the surface. MIX Fill to line 4 per gallon of water. 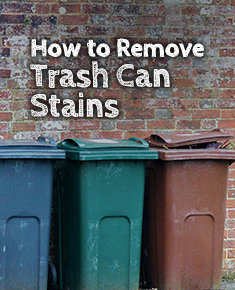 APPLY using a cloth, sponge, brush or by pouring solution directly into trash can. Scrub as needed. 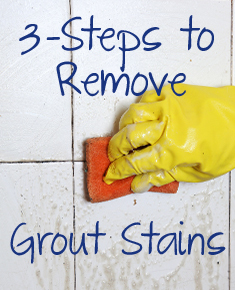 Do not soak; work with small areas so solution does not dry on the surface. RINSE immediately and thoroughly with cool water. A winning season is a victory for the whole family. 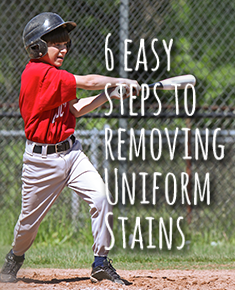 But the thrill of victory can fade as you wonder how to remove grass stains and dirt from uniforms every week. 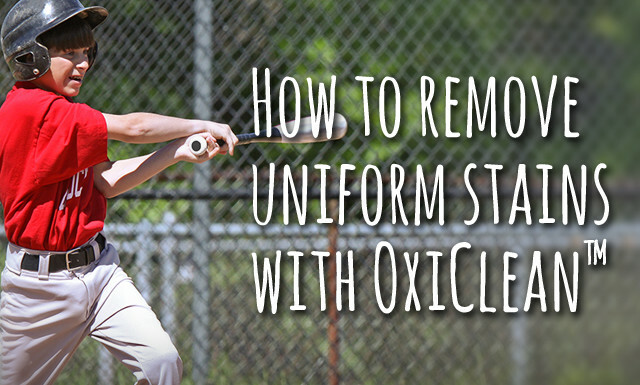 Luckily, with a simple mixture of chlorine-free OxiClean™ Versatile Stain Remover powder, uniforms stay in top form. Always check your care label before washing. MIX Fill to line 4 per gallon of water. Note: for some surfaces, a more concentrated solution/paste may be used. LET STAND 5-30 min. Scrub as needed. For large surfaces, work with small areas, so solution does not dry on the surface.